Fabulous Pom-Poms For Soft Sculpture! Everyone loves pom-poms! Come and make a multi coloured woollen beauty to wear around your neck or hang off your school bag or somewhere in your room. 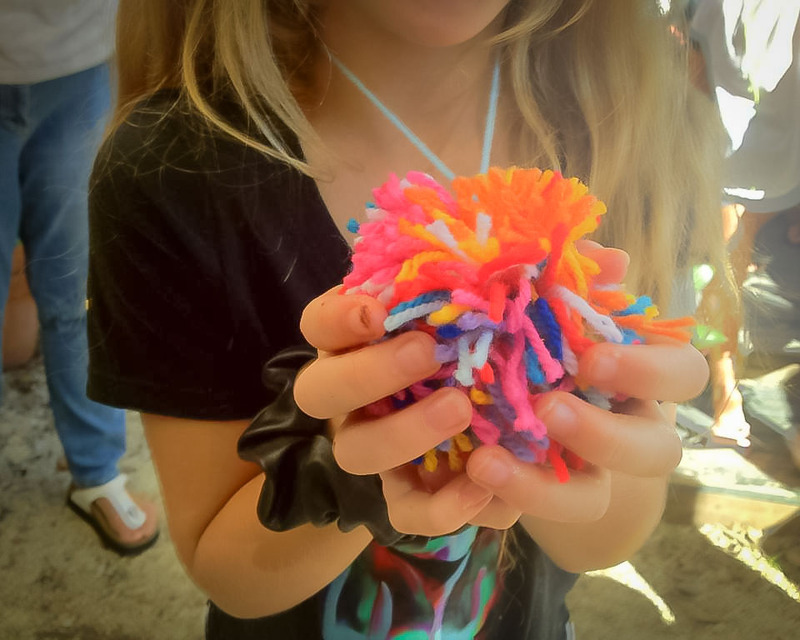 Extend your new pom pom making skill into a lovable soft sculpture. Great for developing finer motor skills and patience!